Ramallah-based political analyst and former advisor to Palestine Liberation Organization Chairman Mahmoud Abbas and Palestinian negotiators. Q - Since last Friday, at least 4 Palestinians have been killed by Israeli soldiers or settlers during protests in occupied East Jerusalem, including two teenagers and a 20-year-old student, and hundreds of others have been wounded in the city and the rest of the West Bank. What are the protests about? "The immediate reason for the protests is Israel's decision to impose further restrictions on Palestinians trying to worship in the Al Aqsa mosque compound (the Noble Sanctuary) in occupied East Jerusalem -which is not legally part of Israel - by both erecting metal detectors and barring male worshippers under the age of 50 from entering. "This decision, however, must be viewed in light of the context of 50 years of oppressive Israeli military rule, during which Israel has systematically stolen Palestinian land, built illegal Jewish settlements on occupied Palestinian land, encouraged Jewish extremists to take over Palestinian homes, demolished thousands of Palestinian homes, exiled tens of thousands of Palestinians, and encouraged the growth of the extremist, messianic Temple Mount movement, whose members - including senior government officials - seek to demolish the Noble Sanctuary in order to build a Jewish temple in its place. "Palestinians have seen the culmination of these acts play out before. In 1994, following the massacre by US-Israeli settler Baruch Goldstein of 29 Palestinians as they prayed in the Ibrahimi Mosque in Hebron in the occupied West Bank, Israel imposed restrictions on Palestinian worshippers, turning the mosque into an armed encampment, divided it into two, and gave part of it to Hebron's settlers while barring Muslims. Many Palestinians fear that Israel will do something similar with the Noble Sanctuary. "To be clear, no Palestinian wants to see their holy site as a place of armed conflict and we also do not want to see a foreign, hostile occupying army curtailing our right to access our holy sites." Q - What's the situation like on the ground in East Jerusalem and the West Bank now? 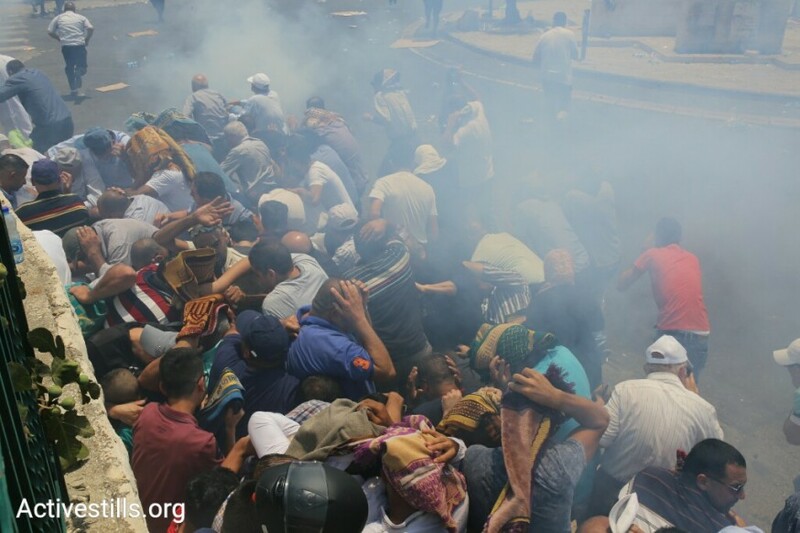 "For nearly two weeks, there have been large-scale peaceful protests in East Jerusalem reminiscent of the First Intifada [uprising] against Israel's military rule in the late 1980s. Prior to yesterday [Thursday], Muslim Palestinians - sometimes joined by Christian Palestinians - were praying in the streets of the Old City in East Jerusalem as part of a boycott of the Noble Sanctuary until Israel removed the new barriers to worship and surveillance equipment it erected in the last few weeks. "On Tuesday, Israel began removing the new metal detectors it had installed and on Thursday it removed the new surveillance cameras as well. As a result, on Thursday the Mufti of Jerusalem called off the boycott on worshipping in the Noble Sanctuary. However, after it became clear that restrictions were still in place and just an hour after Palestinians returned to the Noble Sanctuary to pray, nearly 100 of them were injured by Israeli forces who stormed the compound and removed Palestinian flags that had been raised inside. Reports on Thursday evening local time said that Israel was only allowing women and the elderly to enter the Noble Sanctuary. "Israeli security forces have fired rubber-coated metal bullets, stun grenades and sound grenades at worshippers. They have also sprayed skunk water on Palestinian worshippers and on their mosque. Israeli forces also raided a hospital to try to prevent Palestinians from burying their friend who was killed by Israeli soldiers. In the face of the violence and repression of Israel's occupying army, Palestinians have resorted to prayer. It is expected that Friday prayers will be very large. "There have also been widespread protests in the West Bank as well, by Palestinians who are denied the right to enter East Jerusalem by Israel simply because they are not Jewish. Millions of Palestinians in the occupied West Bank, often living within sight of Jerusalem, cannot visit the Holy City to visit family or friends, worship, study, or receive medical care, even though East Jerusalem is not legally a part of Israel." Q - Some observers believe that another Palestinian uprising against Israel's now half-century old military rule has begun. Some also thought the same two years ago when Palestinian protests broke out in response to increasing provocations by messianic Israeli extremists who want to build a Jewish temple in the Noble Sanctuary. Do you think what's taking place now is different from other recent protests, and do you think it will continue? "While it's impossible to say how long the current protests might continue, particularly now that Israel appears to be backing down from the provocative measure that sparked the latest crisis, Palestinians of all faiths in East Jerusalem have rallied together in a remarkable and inspiring way, engaging in widespread peaceful protests that have not been seen in a long time. In the process, they've managed to compel Israel to back down on its latest attempts to impose Jewish-Israeli sovereignty over the Noble Sanctuary, at least temporarily. "They've also forced Palestinian Authority President Mahmoud Abbas to suspend, at least publicly, collaboration between PA police and Israel's occupying army, which is very unpopular among Palestinians because it serves the interests of Israel it its illegal settlement enterprise and not theirs. Abbas is already extremely unpopular among Palestinians, particularly in light of his recent decisions to reduce electricity and slash health care funding to Gaza, which has had disastrous consequences for the 2 million Palestinians living under Israel's suffocating, decade-long siege and blockade. With Palestinians in East Jerusalem and elsewhere courageously risking their lives to protest Israel's latest acts of aggression in Jerusalem, Abbas and the PA had little choice but to take action of some sort to show they're not in bed with Israel's extreme right-wing government, even if it's just for public consumption. "Regardless of whether the current protests continue and evolve into a wider uprising against Israel's racist military regime or whether they peter out in the coming days, the situation in Palestine-Israel is untenable. Fifty years of brutal, discriminatory military rule in the occupied territories and 70 years of dispossession and apartheid inside Israel itself will come to an end sooner or later and Palestinians will be free." Q - In response to the recent protests, right-wing Israelis have ramped up their incitement against Palestinians, with one senior Israeli government official threatening Palestinians with a " third Nakba " referring to the ethnic cleansing of approximately 750,000 Palestinians from their homeland during Israel's establishment in 1948 and subsequent expulsions that were carried out by Israel in the West Bank and Gaza after the 1967 war. 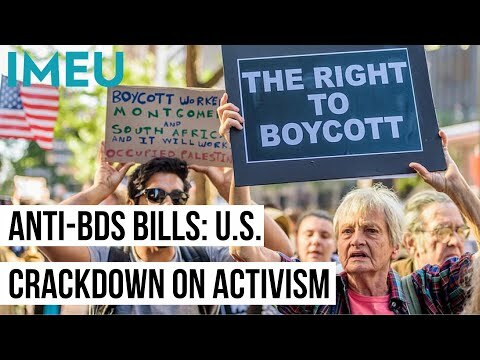 Given the racist, right-wing, religious extremists who dominate Israel's government, who have been emboldened by the Trump administration, are you concerned that Israel may do something drastic if the situation deteriorates? "In addition to the statements mentioned above, Israeli officials are openly calling for the annexation of parts of the West Bank and to prevent any division of Jerusalem including in the context of securing a peace agreement with Palestinians. In the context of this extreme right-wing government, none of these statements or bills should be lightly dismissed. This is the same government that has enacted some of the most racist laws in Israel, has expanded illegal settlements at an unprecedented rate, which has maintained a brutal and flagrantly illegal siege on Gaza even in the face of world condemnation, and which has encouraged and emboldened the dangerous messianic Jewish extremists who threaten to spark a major religious conflagration with their aggressive and provocative attempts to assert Jewish-Israeli sovereignty over the Noble Sanctuary, the third most sacred site in Islam and one of the most sensitive religious sites in the world."